The easy-to-use, high-sensitivity assay measures gene expression with minimal sample preparation, using branched DNA for signal amplification. A key feature of the assay is that it does not require RNA or DNA purification, reverse transcription, or PCR amplification, so biases and sample losses resulting from these preparation steps are eliminated. 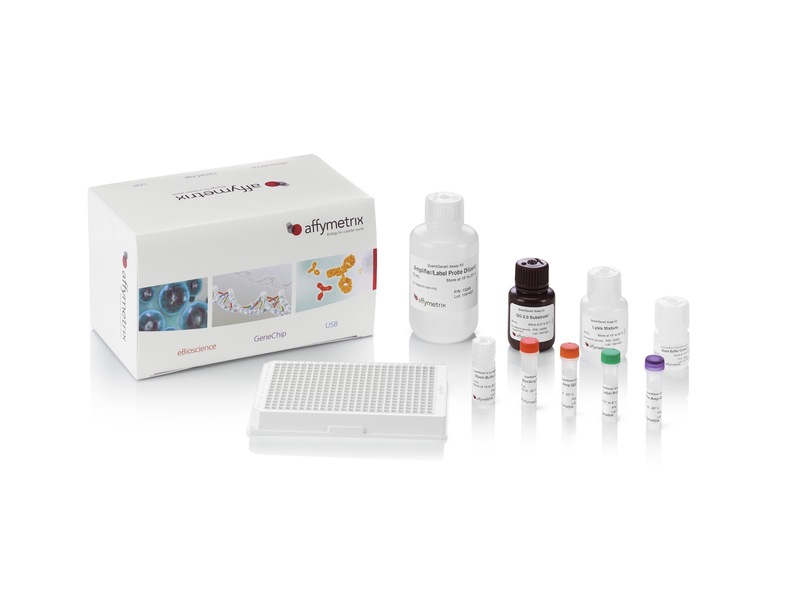 This robust assay, also available in a 96-well format, can directly detect gene expression changes as small as 10 percent. The Z-factors of the QuantiGene Singleplex HT Assay are consistently higher than those of other assay types such as qPCR. Ideal applications for QuantiGene Singleplex HT Assay include compound screening in drug discovery, biomarker validation, and siRNA knockdown studies. The assay accommodates a range of sample types, including heavily degraded and cross-linked RNA in FFPE samples and RNA in blood.